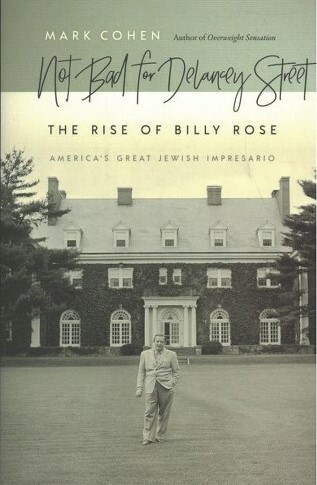 Brandeis University Press recommends a book "Not Bad For Delancey Street: The Rise of Billy Rose"
Billy Rose was born born William Samuel Rosenberg, September 6, 1899 he was married to Fanny Brice. He founded the Billy Rose Sculpture Garden at the Israel Museum in Jerusalem, Billy was an American impresario, theatrical showman and lyricist. For years both before and after World War II, Billy Rose was a major force in entertainment, with shows such as Billy Rose's Crazy Quilt (1931), Jumbo (1935), Billy Rose's Aquacade (1937), and Carmen Jones (1943). As a lyricist, he is credited with many famous songs, notably "Me and My Shadow" (1927), "More Than You Know" (1929), "Without a Song" (1929), "It Happened in Monterrey" (1930) and "It's Only a Paper Moon. "Firstborn Daughters Awaken Fathers to Gender Inequality"
In 2018 more American women ran for elected offices then every before. New research from Brandeis and the University of Massachusetts points to a "first born daughter effect" which suggests that fathers are more likely to vote for female candidates if their firstborn child is a girl. Research has also shown that men spend more time with their firstborn daughters then with their subsequent daughters. Subsequent daughters and firstborn sons do not move the needle on a dad's pollical thinking as much as first daughters do. So, it may be that firstborn daughters are uniquely situated to influence their father's pollical feelings about Gender Inequality by virtue of the time they spend with his firstborn daughter. Brandeis has received a generous Chanukah gift of $10 Million from Tashiro "Tom" Wananbe, to Establish Scholarships for Students from Japan. Tashiro "Tom" Watanbe an alumni of Brandeis, is president of the Toshizo Watanabe Foundation and CEO of the Nikken Global Corporation, which is an international home wellness products company. He credits the scholarship support he received from Brandeis enabled him in making his career success possible. He hopes that this Scholarship program will give students, from Japan the benefit from their explorations at Brandeis be will be both simple and profound, he feels the students will benefit in broadening their vision and find their goals in life. Thank you Tom Watanbe from The Conejo Valley Chapter. "The Jewish calendar has many sorrowful Holy Days. ChanukahÃ¢ the Feast of Maccabees" is one of the few joyous Red Letter days. It celebrates a victoryâ€�not a military victory only; but a victory also of the spirit over things material. Not a victory only over external enemies" the Greeks; but a victory also over more dangerous internal enemies" the Sadducees. A victory of the many over the ease-loving, safety-playing, privileged, powerful few, who in their pliancy would have betrayed the best interests of the people, a victory of democracy over aristocracy. "As part of the eternal world-wide struggle for democracy, the struggle of the Maccabees is of eternal world-wide interest," Justice Brandeis declares. "It is a struggle of the Jews of today as well as of those of two thousand years ago. It is a struggle of America as well as of Palestine. It is a struggle in which all Americans, non-Jews as well as Jews, should be vitally interested because they are vitally affected. When Sharon Cohen and Honey Bencomo visiting Brandeis University. they hiked up the hill so they could be near justice Brandeis's statue. Today on Facebook somebody wrote what was at the bottom of the statue on a plaque which they never noticed. We are sharing this with you. A pansecterian University that one day will embrace the concept of a school of law and social justice. Click here, complete the form, pay and you're done..
~~ Brandeis was founded in 1948 as a non-sectarian, coeducational institution sponsored by the Jewish community. ~~ Brandeis was established on the site of the former Middlesex University. ~~ Brandeis University was named for Justice Louis D. Brandeis, who was the first Jewish Justice of the United States Supreme Court. ~~ Mascot - Ollie the Owl - named for Justice Oliver Wendell Holmes, Jr.
"Our government teaches the whole people by its example. If the government becomes the lawbreaker, it breeds contempt for law; it invites every man to become a law unto himself; it invites anarchy." Here's a link to the campus drone tour. Notable alumni: Tony Goldwyn '82 actor, director, producer, starred in such cinematic hits as: Ghost, Tarzan, The Pelican Brief and Kiss the Girls. His directorial works include:: Someone like you and A Walk on the Moon. Brandeis University counts among its alumni five Pulitzer Prize winners, a Nobel laureate and several Emmy Award-winning actors, broadcasters and producers. Located in Waltham, Massachusetts, Brandeis University is ranked in the top tier of universities in the country. 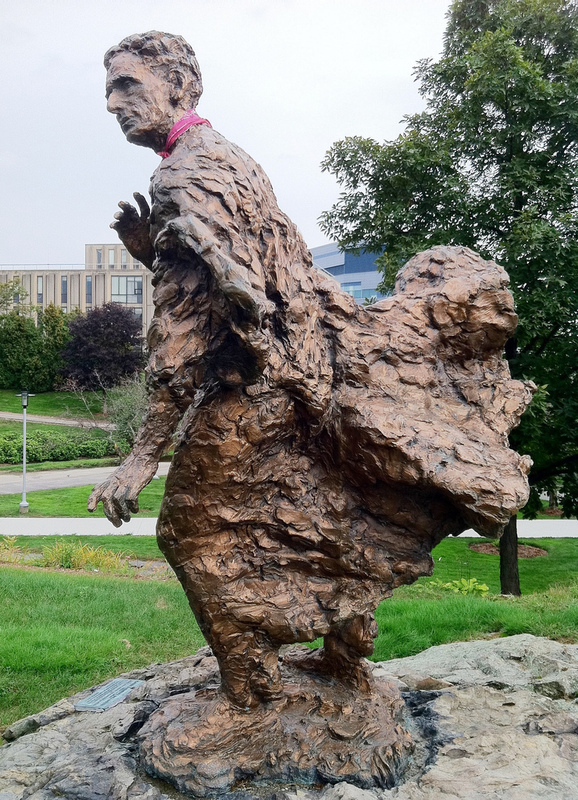 Founded in 1948 and named for the late Justice Louis Dembitz Brandeis of the U.S. Supreme Court, it is the only nonsectarian, Jewish-founded university in the country, known for its academic excellence and ideals of social justice. 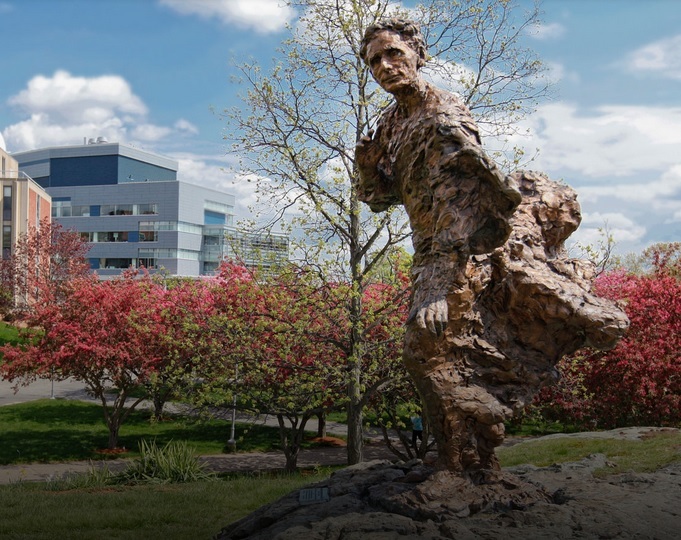 At the same time as Brandeis' founding, eight women from Boston, all leaders in the community, were asked to help in supporting this new university. They were given the task of building on the collection of 2,000 books in the Library, which was housed in a converted horse stable. The dedication and perseverance of these women, who now called themselves the National Women's Committee continues today, sixty years later, as the Brandeis National Committee. With over 70 chapters nationwide and over 39,000 members, BNC is one of the largest and most successful "friends of a library" organizations in the world. Over the years, we have placed over one million books in the Brandeis libraries, and raised over $100 million for Brandeis University and its libraries, scholarship and research. Brandeis University has become one of the youngest private research universities, with ground-breaking exploration in neurodegenerative and age-related diseases. 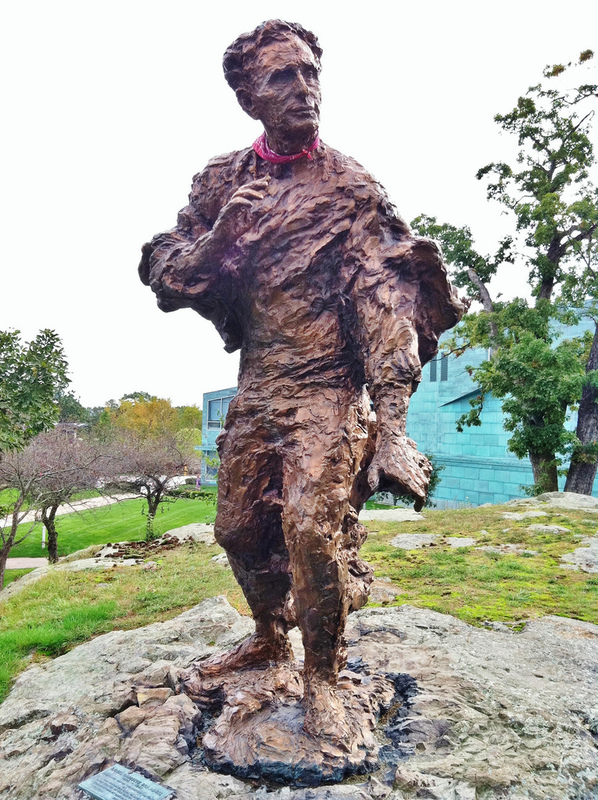 Now after almost 70 years, Brandeis University has become well established, renowned for its academic excellence and celebrated for its ideals of social justice. But when Brandeis first opened its library doors in the fall of 1948, it was not the best of times for this unique university...yet. Brandeis's book collection was meager, only 2,000 volumes, and was housed in, of all places, a converted horse stable! This was Brandeis's infancy, though, and the nation's only Jewish-sponsored, non-sectarian University h ad an incredible challenge ahead. It would be an extraordinary task to create a library that could barely compete, let alone compete well, with the "old ivies" in New England. Brandeis was determined to be first rate. Remarkably, eight women would answer this challenge. Their loyalty to this unproven university came from a different breed of faith: both to the Jewish community at large, and to education itself. They called themselves the National Women's Committee, and what they would work to achieve was no less than amazing. Sixty years later, the Brandeis University National Women's Committee is a thriving, vital part of both Brandeis and its library fundraising efforts. We are now one of the largest, most successful "friends of a library" organizations in the world. With members in chapters across the country, the National Women's Committee has raised millions for Brandeis University research program and its libraries.